On the final day of the Democratic National Convention, Philadelphia resident Christinetta Thompson teared up outside a meeting room at the Philadelphia Convention Center. She wished her grandmother had lived to see Hillary Clinton nominated for president. But she was also thinking about saying goodbye to the Obamas. Or at least that’s the fervent hope among many black Democrats here. They’re looking forward to a new administration full of historic firsts. But they’re also beginning to come to terms with saying goodbye to the current historic president who’s like, they say, won’t come again in their lifetime. It’s been a subtext of the entire week. 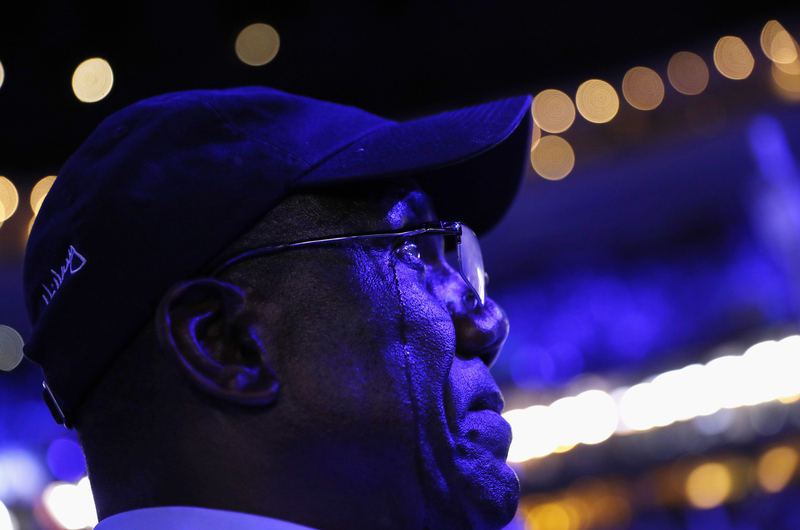 Tears stream down the face of a delegate as he listens to President Barack Obama speak on the third night at the Democratic National Convention in Philadelphia on July 27. Kwasi Asare, a Philadelphia native who lives in New Orleans and owns interests in several media technology firms, sponsors programs on innovation and public policy. Asare said Obama’s relatability is one of the things he’s most going to miss. “I was in the stadium the night he accepted the first nomination,” Asare said. “I had never felt more American in my life. Eight years later, it’s a little bittersweet.” He’s excited about Clinton and what he thinks she brings to the table, but calls the Obamas “the coolest president and first lady” ever. “Nancy Reagan was on this pedestal talking down to everyone about not doing drugs, she never tried to actually relate to young people. It was all about her telling us what to do. Michelle, not that she’s our peer, but she likes hip-hop. She can dance. She’s more like us than any first lady we’ve ever had,” Asare said. 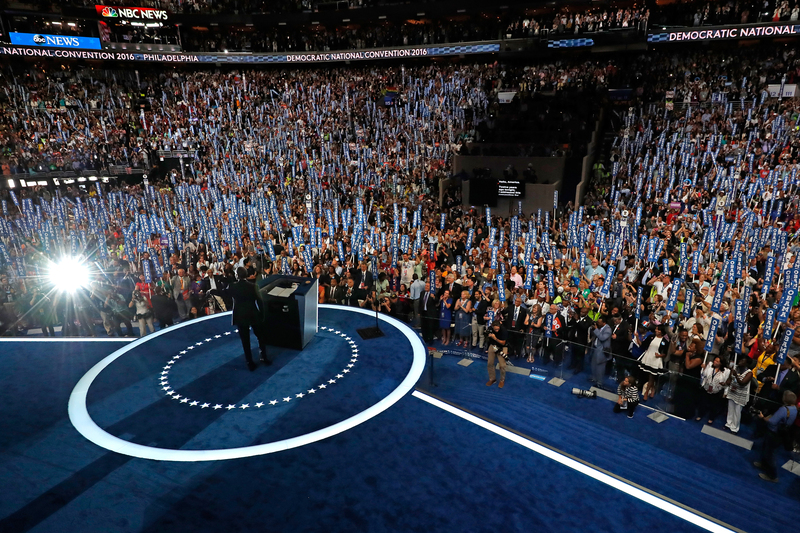 President Barack Obama takes the stage to deliver remarks on the third night of the Democratic National Convention in Philadelphia on July 27. As he contemplates the end of the Obama era, Jelani Cobb, director of the Institute for African American Studies at University of Connecticut, said his mind goes to the vision versus the political reality. “We couldn’t conceive of the limitations of a black president until we had one,” he said. “It was a step forward in democracy for him to be elected, but he was also hamstrung in all things that were specifically African-American.” The nation has “seen a titanic backlash in response to [the Obama] presidency,” Cobb said. In a June interview with NPR, Obama responded to criticism that he had not done enough to specifically address the problems of poor and working-class blacks and to reform the criminal justice system. Cobb speculated that when the president is out of office, he’ll likely be more free to talk about a lot of the things he cares about. “A bitter irony,” he called it. At a downtown watch party for the president’s Wednesday night speech, friends Andrena Crockett, a federal government consultant from Washington, D.C., and Staci Erwin, a Philadelphia attorney, noshed on finger food and talked about what they’d miss most about the Obama White House. For them, it was his grace under fire. But despite his accomplishments and the symbolism of having had a black family in the White House, the friends agreed that Obama will have to keep working once he leaves if he wants his legacy to endure. 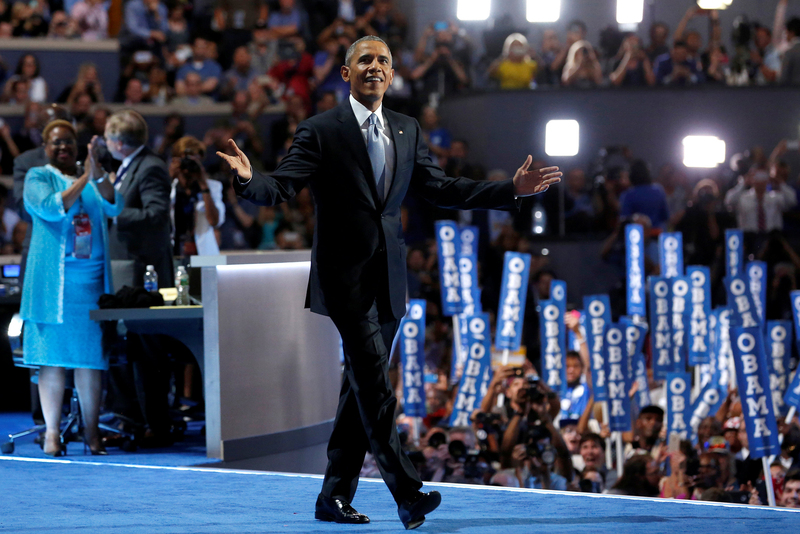 President Barack Obama acknowledges the crowd as he arrives on stage to deliver remarks on the third day of the Democratic National Convention at the Wells Fargo Center in Philadelphia. They want him to continue to work on gun control, ending mass incarceration and racial inequality and continue his My Brother’s Keeper initiative on behalf of black and brown boys. They want Michelle Obama to continue to fight for a better American diet and health issues. There’s still work to be done, they said. And though a historic era is ending, one that has meant the world to a world of people, the hope here in Philadelphia is that the Obamas will roll up their sleeves and keep working.